Blow molding is a type of manufacturing method which uses a custom mold to form hollow plastic pieces. The molded plastic forms a vessel which can protect goods while in transit, because it has been shaped to the exact size and shape that the goods will need while in route. There are several advantages to using blow molding, although there are some disadvantages as well. Has several methods of production including extrusion and injection. Injection and Injection stretch methods use a preform whereas extrusion melts the plastic into a rounded parison, which is then removed from the furnace, attached to a mold, and compression air is blown to form an exact match. 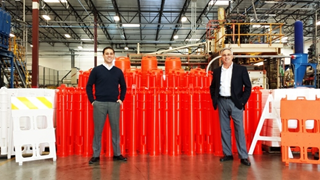 If you have more questions on blow molding advantages, you can give Western Case a call for a consultation, where they will be able to go over everything with you and give more detail on how blow molding can be a great solution for your needs.